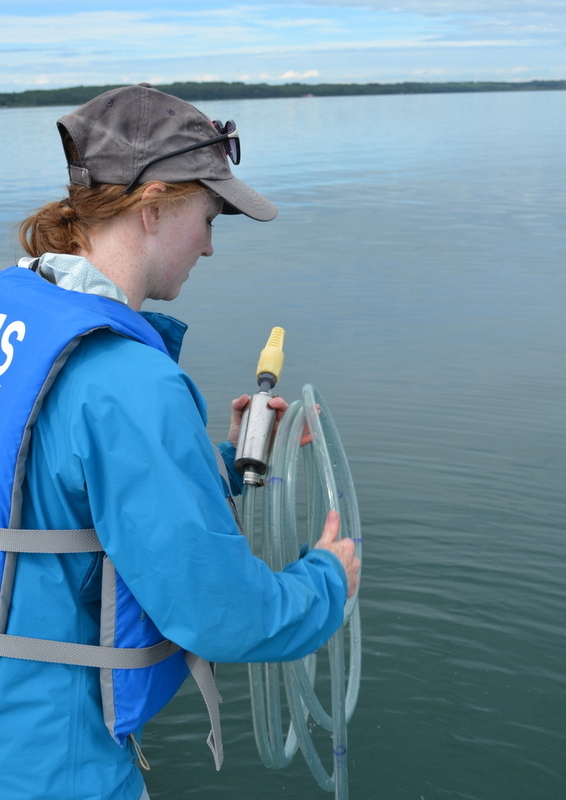 Protecting the lake's natural assets and values through vigilance and science. 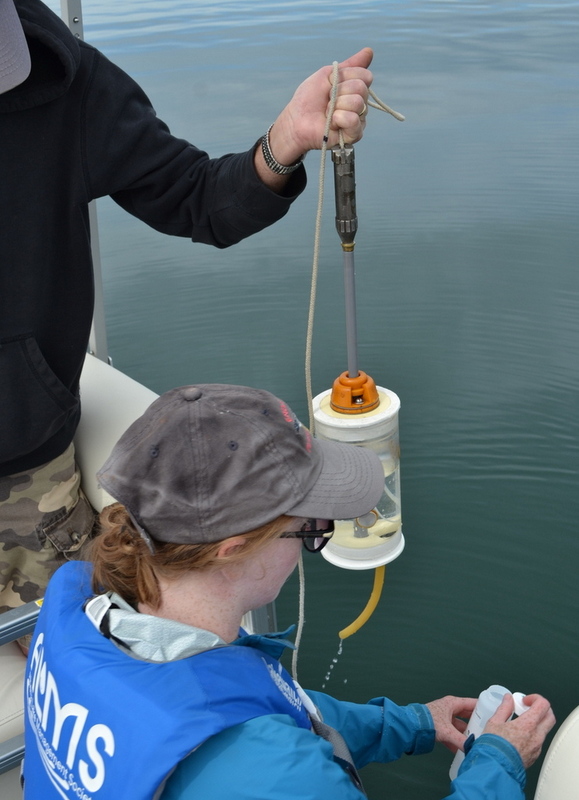 The Society has organized another water quality sampling campaign in cooperation with the Alberta Lake Management Society (ALMS) because the lake received little runoff from snow melt or early season rain. That means the main loading of the lake by nutrients carried off the land is absent. So 2016 should turn out to be a special case with atmospheric fallout and internal sources becoming more significant for feeding phytoplankton that start the food chain in the lake. Breda prepares to sample a column of water at one of the stations. ALMS lake tech Breda Muldoon, a graduate of the U of S in toxicology, will lead the project for the Society. Five sampling dates are scheduled between June 12, the first day, and the end of season measurements in September. The captain and guide of his pontoon boat sampling platform is Ed Thiessen of Norglenwold. To see a photo album of the first day’s expedition, click here. The cover photo shows the ten sampling stations distributed over the lake area, as well as the location of the deepest water point at which extra water and plankton samples are recovered together with instrumental readings of temperature, conductivity, and dissolved oxygen at 0.5 metre intervals down to the bottom at 18 metres. Previous PostPrevious What Makes Blue-Green Algae Dangerous? Tour of the NW End of Sylvan Lake to Check the State of Spring Runoff. 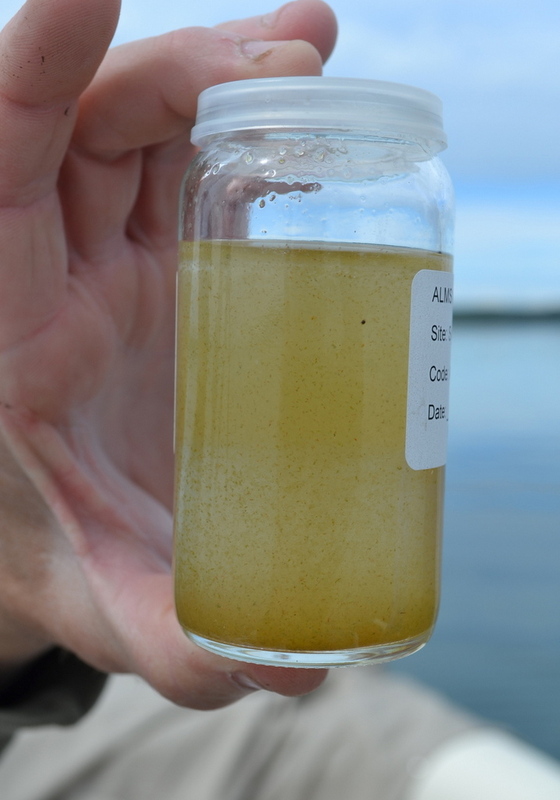 Who is Extracting Sylvan Lake Watershed Groundwater? What Happens Under Sylvan Lake Ice in Winter? Is There Evidence for Climate Change in the Sylvan Lake Watershed? 8 metres of precipitation fell on Sylvan Lake but the level hardly changed over 14 years!